Hardwood timber conservatory, with electrically operated roof vents . It includes a Victorian window design with a projecting pavilion. 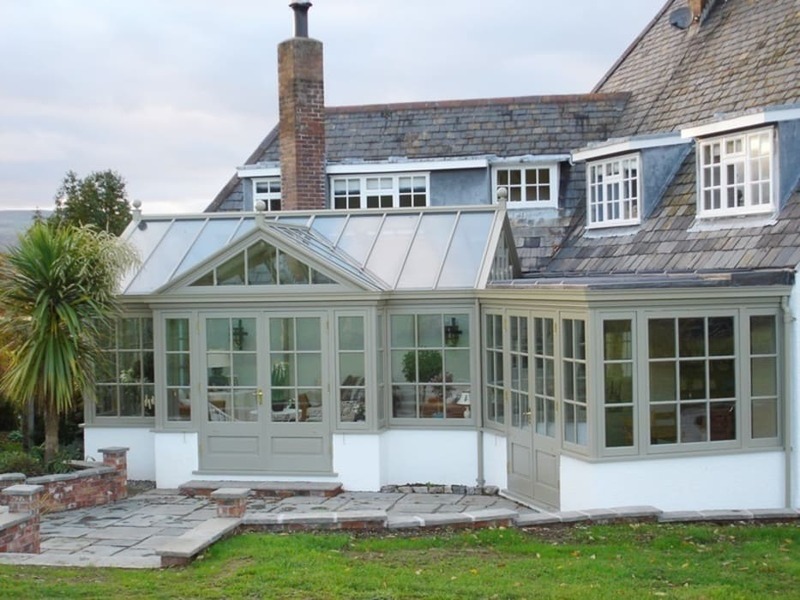 It is finished in a light grey with a paxton gable and ball finials to complete.